Turn up the adrenaline on your Colorado trip with these thrilling adventures. 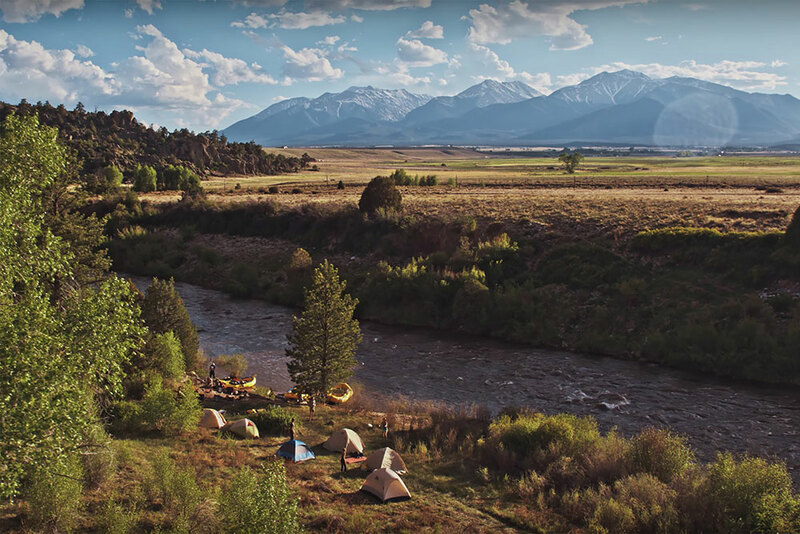 In Colorado, there’s adventure, and then there’s adventure amplified. Sure, you can zipline through the treetops. But did you know you can also whiz through the sky on a surfboard or zipline by night, with only the moon and stars lighting your flight? You can hike, or you can venture deeper on a multi-day trek with an expert guide to lead the way, pass on knowledge and set up camp. If amplified adventure is calling your name, then it’s time you knew about AVA Rafting & Zipline. 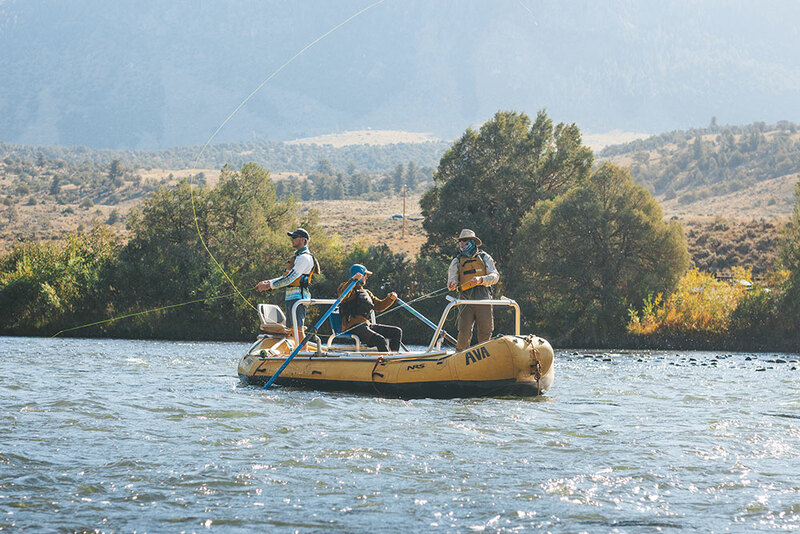 With a deep bench of uber-experienced guides and outposts from Denver to Durango (and just about every major destination around the state), AVA is your hookup for trips that test the boundaries of adventure — from rafting and ziplining to climbing, horseback riding, fly-fishing and even hot-air ballooning. Take a look at these only-by-AVA experiences to put on your Colorado bucket list. Living la via what now? An Italian term meaning “iron road,” via ferratas are mountain routes made from fixed ladders, cables and bridges that create a more accessible — but still challenging — alternative to climbing. 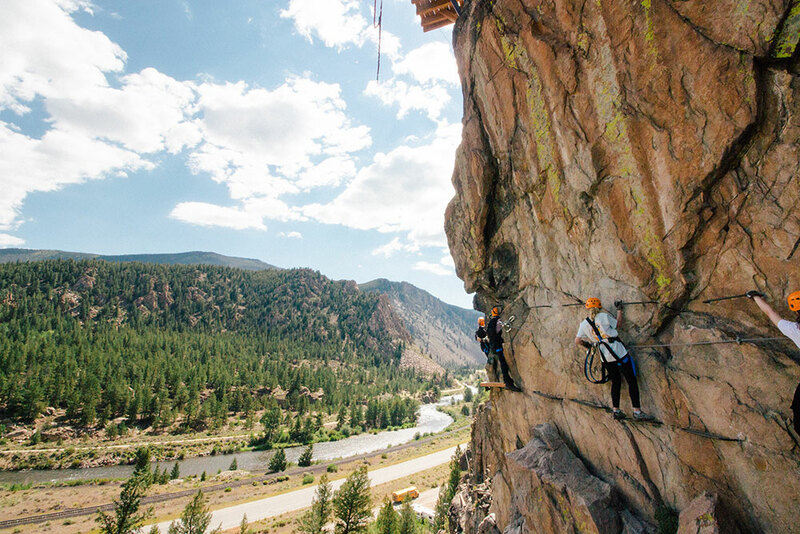 They may be more closely associated with the Alps than the Rockies, but here’s a secret: AVA has two guided via ferrata courses right here in Colorado. 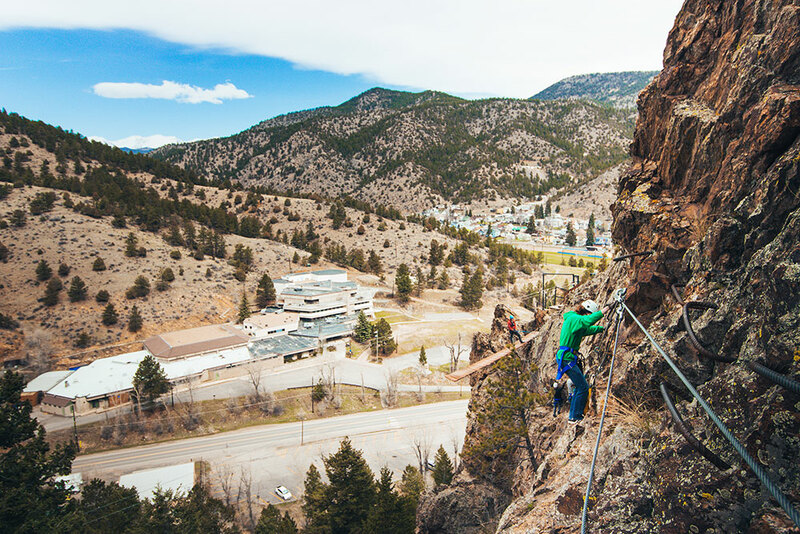 The Mount Evans Via Ferrata in Idaho Springs features a 50-foot free fall, 70-foot rappel and multiple suspended bridges 300 feet above Chicago Creek, while the Granite Via Ferrata in Buena Vista boasts a 75-foot drop among the crags of the Collegiate Peaks. 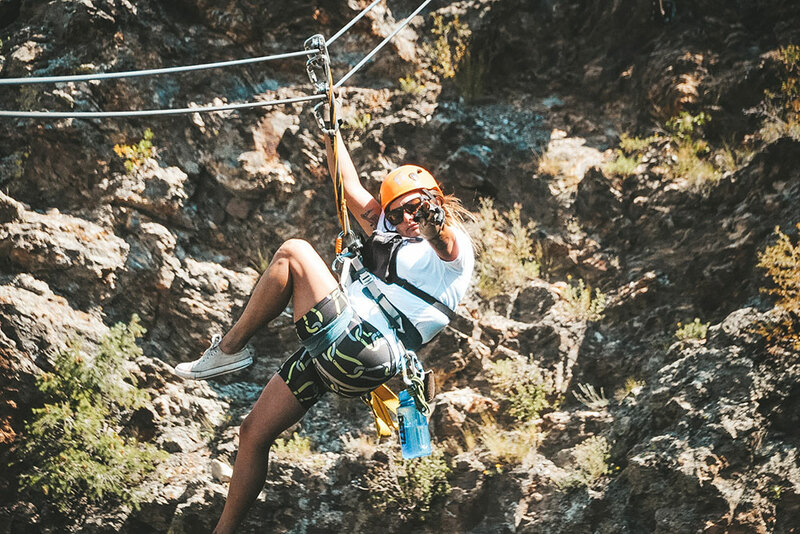 Both courses incorporate zipline, and both are located near fabled rafting rivers, which means you can double down on adrenaline with a whitewater excursion. 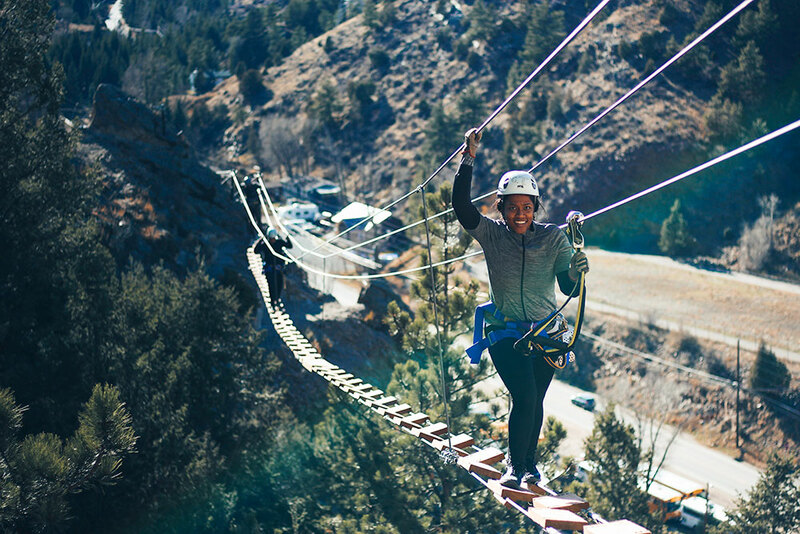 Ziplining is one of the most popular outdoor activities in Colorado, and AVA’s Idaho Springs Cliffside Course was just voted “Best Adventure Park in the Rockies” by Elevation Outdoors magazine. With its natural terrain and cool features like Surf Zip, which lets you hang ten in mid-air, it’s easy to see why. But if the butterfly-inducing drops, zips and swinging bridges weren’t exhilarating enough, how about doing it all in the dark? On a Starlight & Full Moon Zipline Adventure, you’ll maneuver the course with headlamps and glow sticks before hurling yourself off a cliff for one-of-a-kind nighttime canyon views. You may have hiked Rocky Mountain National Park. Maybe you’ve even camped there. But you’ve probably never seen the park like you will on a three-day guided hiking trip, AVA’s newest venture. Setting out from Grand Lake Outpost, tours take you to spectacular locales and leave you with a deeper knowledge of the park’s history and ecosystems. You’ll clock nearly 20 miles over three days, but your guide will do the hard work of cooking meals and setting up camp, leaving you to relax beneath the stars. If three days sounds too intense, you can still opt for a 24-hour trip or guided day hike. The Arkansas River is widely considered the epitome of Colorado whitewater, and with good reason. 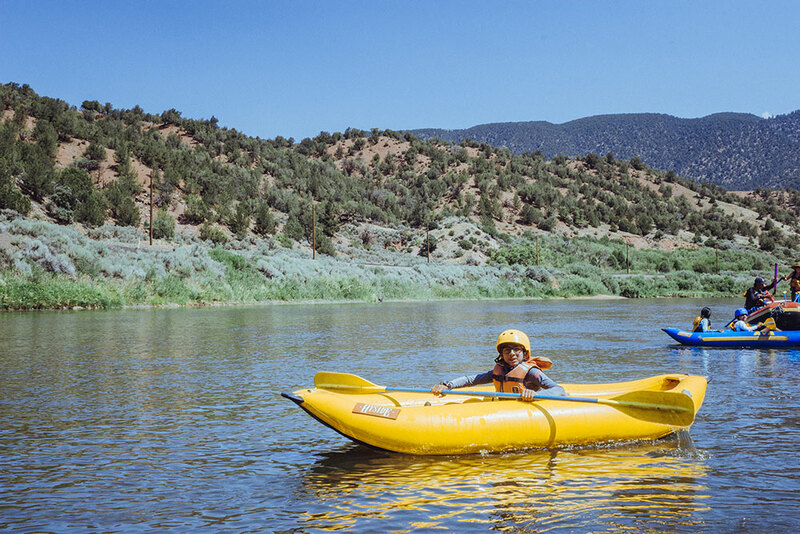 A gamut of amazing experiences can be found within a few miles of AVA’s Buena Vista outpost, from the family-friendly rapids of Browns Canyon to the daunting boulders and pummeling waves of Pine Creek. But beyond the Arkansas, a number of great rafting rivers flow through lesser-seen (but no less spectacular) landscapes. The Colorado River near Kremmling features waves gentle enough for kids as young as 2. The Blue River near Breckenridge is full of surprises, with intermediate rapids amid the stunning Gore Range. Just 30 minutes from Denver, Clear Creek offers everything from beginner-friendly floats to steep, technical runs for experienced rafters. AVA’s trip options range from partial-day jaunts to multi-day rafting excursions with deluxe cabin accommodations. Whichever river and trip you choose, you’ll be in good hands with AVA’s guides, who have three times the training than the state requires. 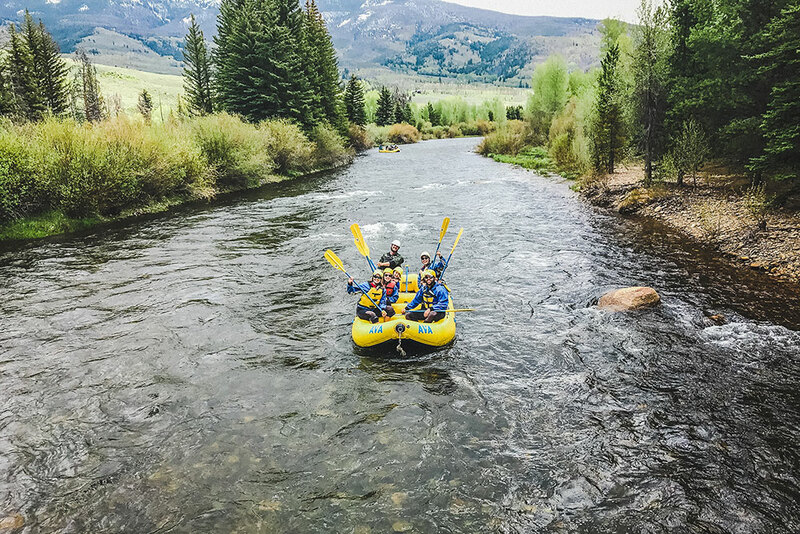 If decision-making isn’t your forte (or if it all sounds too fun to choose), pack in multiple adventures with one of AVA’s 40 Colorado Combo packages. Combine two Colorado favorites with a Saddle + Paddle package, which begins with a two-hour trail ride followed by an afternoon float. 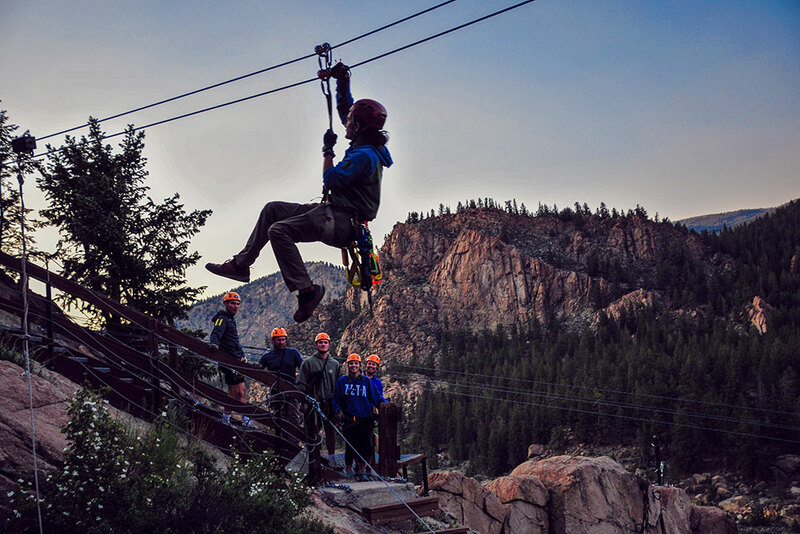 Soar like an eagle before diving into churning whitewater with a Raft + Zipline package. Other dynamic duos include Rock Climb + Zipline and Raft + Via Ferrata, but really, you just can’t go wrong. Browse all of AVA Rafting & Zipline’s adventures, get answers to FAQs and book online. Or, take their online quiz to help you choose your perfect adventure.